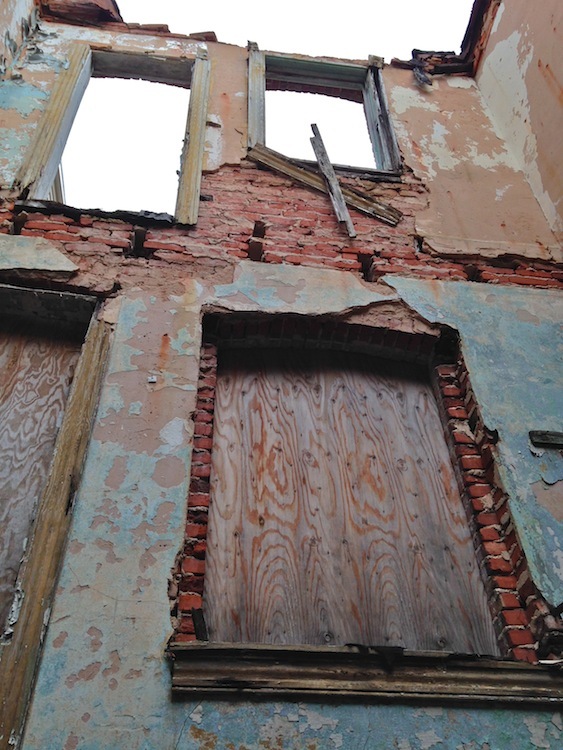 The life of Frank Vanik, who lived much of his life at 2438 Eager Street, provides a glimpse at the progression of industry and technology during turn-of-the-century Baltimore. By the time Frank emigrated from Austria in 1891, he was 21 years old and had learned a trade: blacksmithing. The 1900 census lists him as a blacksmith, and R.L. Polk and Co’s Baltimore City Directory from 1899 shows that he worked out of his home at 1012 N Durham Street. 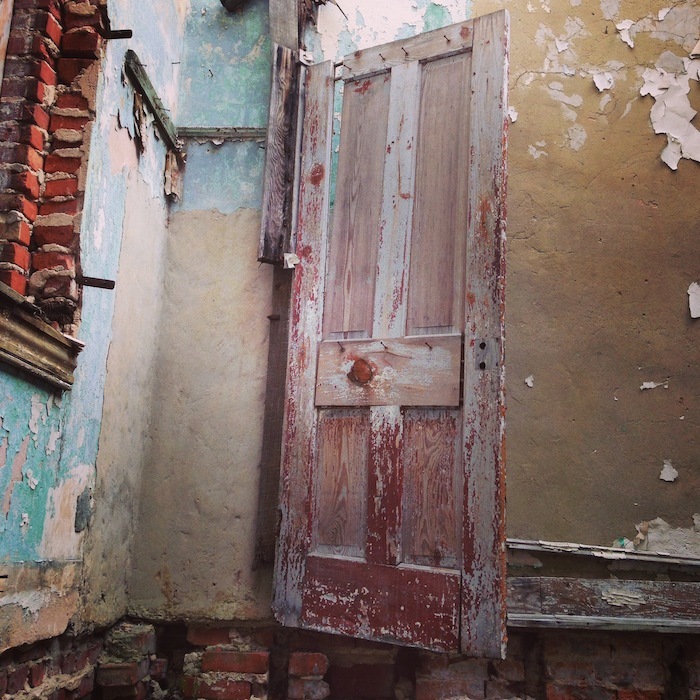 It’s likely that he was a neighborhood blacksmith, serving the Bohemian community that was settling in the neighborhood just to the north of the newly opened Johns Hopkins Hospital. In 1910, Vanik was still working as a blacksmith, but he had moved out of his home shop to a larger machine shop. Without romanticizing and speculating too much, we can read Vanik’s transition from a small home-based blacksmith shop to an industrial machine shop as representative of the times, as industry, thirsty for skilled labor, sucked up capable hands. By 1920, Vanik had moved into 2438 Eager Street. He was still working as a blacksmith, but he had moved on to work at a shipyard. Frank’s sons, Rudolph and George, also worked at a shipyard. It’s possible, maybe even likely, that the Vaniks worked at the Bethlehem Sparrows Point Shipyard. There’d been steel production on Sparrows Point since 1899, but Bethlehem bought the plant in 1916, eventually turning it into the biggest steel mill in the world- at it’s height, in the 1950s, the plant employed nearly 31,000 people. 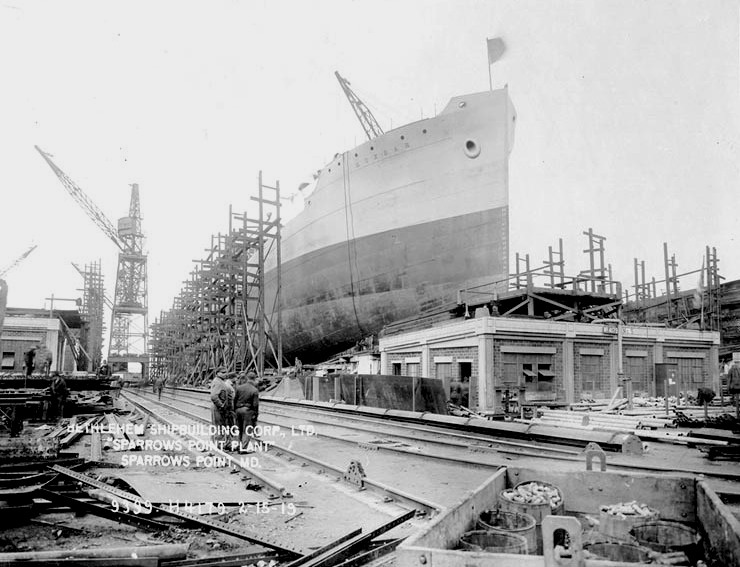 The shipyard went on hiring sprees to churn out ships during both World Wars, so it’s possible that Vanik came aboard when Bethlehem bought the plant and stayed on through the 1920s. He heard the chuf-chuf-chuf and said: where is my business at? If we would live the strenuous life we must keep up to date. Thanks so much for the history! My mom is a Vanik and the granddaughter of Frank Vanik and grew up on Milton Ave. Any other info much appreciated! Wow! That’s exciting to hear- any chance you have old photos or more info about Frank Vanik? We’d love to do a follow up post! My Name was Janet Vanik…Frank Vanik was my great Uncle, the brother of my Grandfather John Vanik.. An interesting fact that Frank and his wife Frances Kudma has 12 children in that little house on 56 Eager Place before they moved to 2438 Eager Street. He lived to be 78 years old. His son Frank Vanik Jr. died in France during the war in 1921. I have a photo of Frank with his Mother , Sister and Wife…Taken sometime in the 1890’s. Frank and his one brother and two sisters came over in around 1880s, after his Mom and one sister and the youngest brother came over earlier. They had Czech and German papers. I have been in contact with you before with the story of Baltimore in the 50, 60, and 70s.